So, a happy new year is probably still in order but I decided that would be tired. No point stating the obvious fact that I’m sooo out of tandem, I’m old school. Have you ever come across one of these classic tag lines? Well, if you come from the side of the great giant ball where I grew up, you’d probably be nodding away. But if not, well… you’d get a hang of it. Every New Year is usually laden with hopes, wishes and prayers; we wish, we hope, we pray that somehow, this New Year would end up better than the last. Resolutions, prayer points, tag-lines…anything, begin to suffice as we grapple for some kind of control in a world – our world – we perceive as less-than-perfect. And for a good reason. A lot of people have emphasized the fact that our change doesn’t necessarily have to come with a new year, which is true. Repentance is a daily thing. Remember? But that’s not what this post is about. And that’s not also to say that I totally agree with dispensing with the implication of a new year. 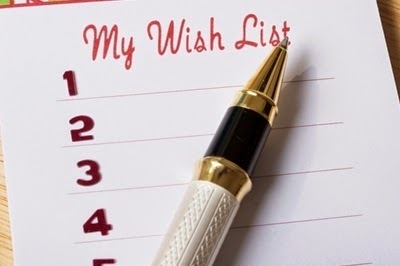 While growing up, I learned the classic art of New Year traditions; tagging along for cross-over services, following the “new year, new me” attitude, proclaiming one of those tag-lines…I even tried my hands at resolutions, but for me they were more wishing lists than “to-do” notes. I was not just benighted, I was painfully ignorant because, looking back now at the crystal ball that was my past, I can only shake my head, laugh and snort in self-derision at the amazingly unrealistic “resolutions” I made. And no…I’m not sharing any with you. Then there were the tag-lines. All churches have them; “My year of…” well, I was caught in that ruse for long, even though at the back of my mind I kept thinking, “So, this year is ‘my year of great grace’. What if its “great love” I want?” But of course, this is a moot point because when the Man of God yells, “Receive it!” I can only chorus the “Amen!” No one ever rejects it. Except then, for most of us, by mid-April (note: Best case scenario. Most don’t even make it to mid-January), it becomes just this fancy sticker we can have up our doors or car bumpers. “God’s year of praise” ? I do think we have missed the point. A new year isn’t about claiming new blessings for ourselves and seeking for ways to fix our lives so we can be more…“content” or “successful”. No. But just like every other year, every day, every hour, every second, it is one more opportunity to prepare ourselves for the ultimate happily ever after. “Then came the word of the LORD by Haggai the prophet, saying, Is it time for you, O ye, to dwell in your cieled houses, and this house lie waste? Now therefore thus saith the LORD of hosts; consider your ways.” (Haggai 1:3-5 – KJV). No one’s saying you shouldn’t build and get a wonderful life. No. But let’s not get so tangled up in building our houses that we forget to build God’s. My point? Please if you are one of those who think this is your year, Consider your ways. Make this God’s time. Instead of spouting the many things you want Him to do this year, how about being an answer to His prayer? Pay attention: HOW ABOUT YOU BE AN ANSWER TO GOD’S PRAYERS? It’s so easy for us to see God as this mighty, unfeeling being. God has needs too. He has desires but we cannot even come close to sensing them unless we love Him. And we cannot love Him while we are busy building our structures and relegating Him to second place. While we are trying to cling to Him and our own selfish desires. God is too big for second place. Side Note: You know I was considering an apololgy letter. The one featured by dozens of "sorries" and tonnes of trite excuses on why I haven't blogged in a while, but I'll spare you. 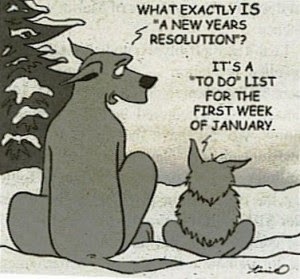 *Sigh* Maybe I actually need a resolution more than I think. Probably something along the lines of; "To blog nine times a day." Hehehe!...I permit you to move that to the wish list category. Oh well, A Happy, gracious 2015 y'all. God first yo’!